There’s been a lot of discussions around subscription-based loyalty programs and if brands should incorporate the model into their existing customer experience strategy. For brands thinking about offering a subscription-based program – the answer is not a simple yes or no. First and foremost, determining if a paid loyalty program makes sense for your business comes down to knowing your customers’ behaviors and preferences because subscription programs appeal to specific segments of customers. As my colleague recently shared, portions of the millennial segment are strong candidates for a subscription based model because they crave convenience and often do not want the hassle of tracking promotional offers or coupons. Further, this segment has grown up using subscription services such as Netflix and Xbox Live – it is more natural to them and makes them less likely to chase rewards. 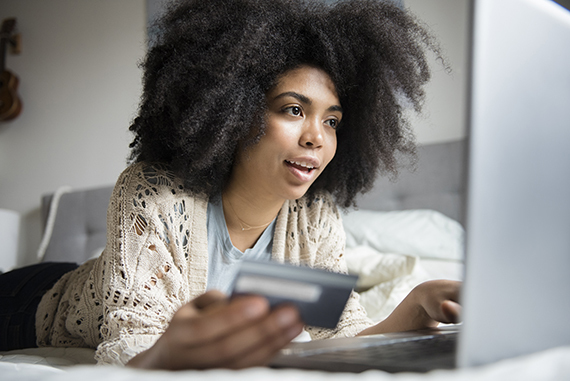 Many millennials don’t mind paying a fee to have everything personalized, categorized in one location or delivered to their doorstep every month. The first step is evaluating to see if a subscription-based loyalty program makes sense for your business. Then, it’s important to understand the value they bring to your business. Adds a new revenue stream: Integrating a subscription program component into your customer experience strategy is a great source for generating additional revenue. The subscription e-commerce market has grown more than 100% a year over the past five years, with the largest retailers generating more than $2.6B in sales, up from $57M five years ago. Clearly this is a model that’s gaining popularity as more brands continue to realize the benefits. For example, 95% of Restoration Hardware’s business is driven by its nearly 400,000 paid loyalty members. Enhances customer engagement: As you’re developing your subscription-based model, it’s important to demonstrate the value in what consumers are paying for and what they’re getting in return. Think about ways to enhance customer engagement. For example, for travel and hospitality brands, consider implementing extra benefits for subscription members like the miles earned for flying or access to priority boarding. Creating engagement beyond the ‘program standards’ yields positive results. Creates a new member segment: 37% of customers are willing to pay a fee for access to enhanced benefits. Subscription programs naturally creates a new top tier or elite member status for your loyalty program creating a sense of exclusivity that appeals to many consumers. Think about how to best classify this member group within your program. These customers are brand advocates, true loyalists who are emotionally connected to your brand. Creating a name that refers to their honorary status is an interesting idea. Understanding the behaviors and desires of your paid-member segment is critical so you can plan your marketing messages accordingly. This member base often wants to earn rewards in a speedy fashion and they are willing to ‘pay to play’. They desire a combination of both transactional and experiential benefits. The loyalty program (and brand) become a part of their everyday routine. Lululemon experienced first-hand the benefits of a subscription-based loyalty program during a recent test. For an annual fee of $128, members were able to join the brands’ loyalty program. With this fee, members receive a pair of pants or shorts – which provides value upfront and brings the perceived program fee cost down. Then, the program extends well beyond the initial offer. It includes experiences to keep members engaged like exclusive events and workout classes. These experiences, when combined with the transactional benefits of the program ($100 retail credit, free shipping, etc. ), encourages lifetime loyalty. Remember, loyalty is a journey, one in which you travel with your customers. Take some time to evaluate your current program to determine if the subscription model fits into your loyalty ecosystem. Your loyalty platform has to be aligned with what motivates your customers to ensure the operational success of your subscription-based program while creating relevant and meaningful connections with your customers. *This post first appeared on Loyalty360.